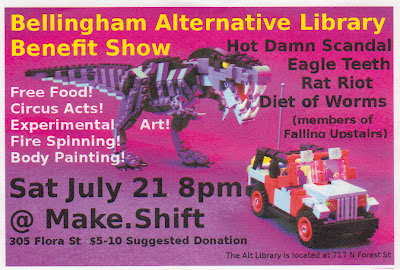 People from Bellingham Alternative Library remembered that I have a blog so they ask if I would post this. I'm planning to go. Should be a fun time for dancing and so forth. 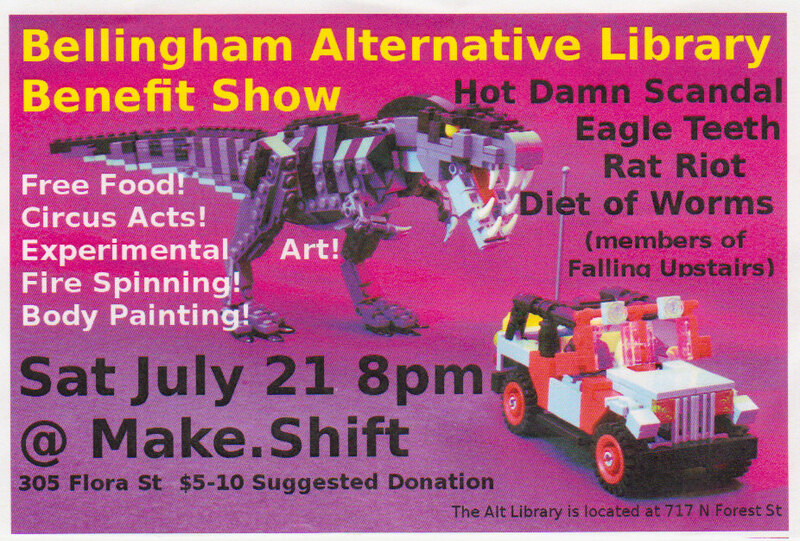 Event at Make.Shift Gallery, 305 Flora in downtown Bellingham. More info on Alternative Library. Turns out the music was so "heavy metal," at first at least I didn't go in, but I hope they had a good time.